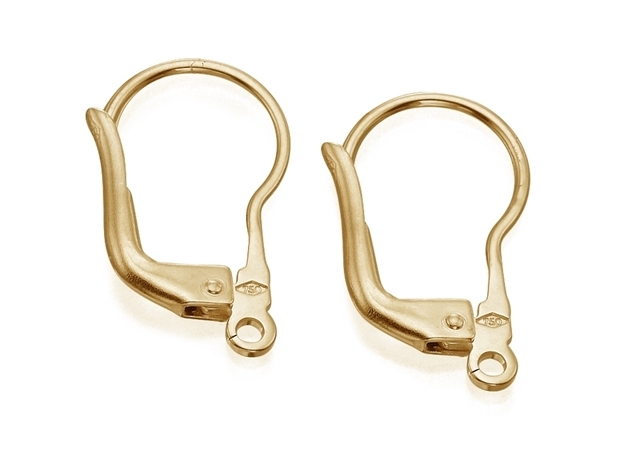 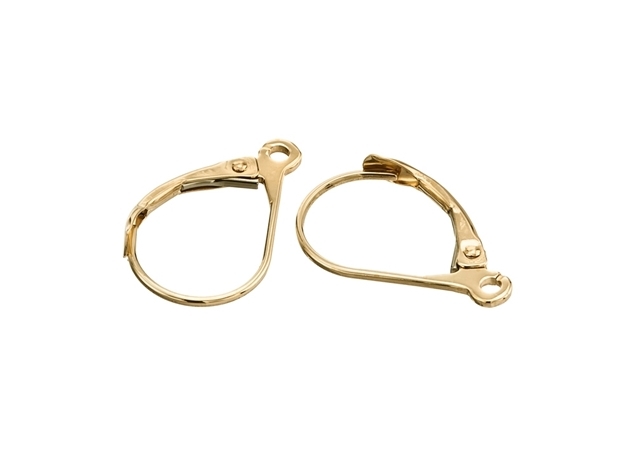 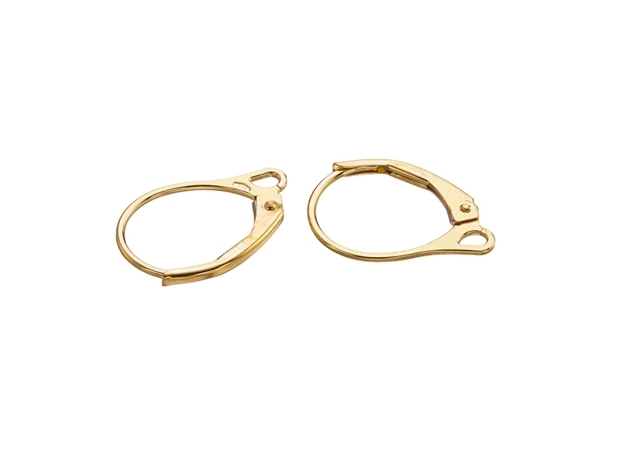 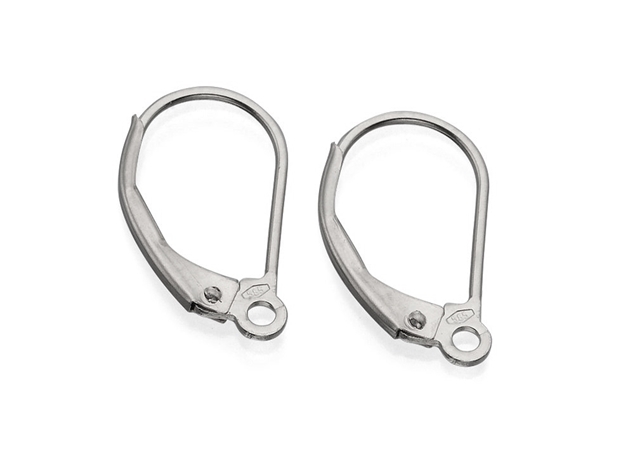 Our gold lever backs come in a large selection of weight, size and design. 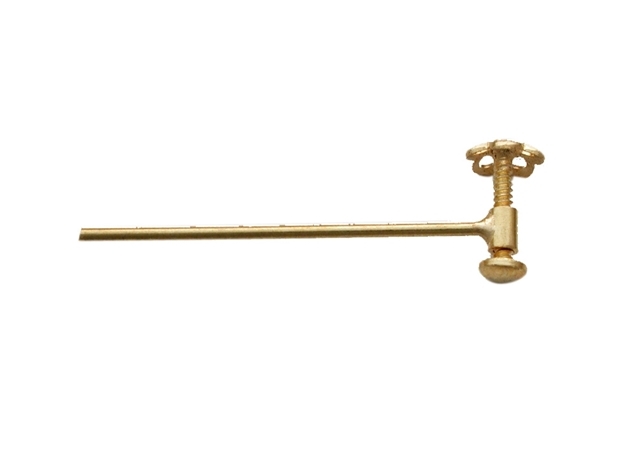 The Lever backs' size depends on the weight of the hanged object. 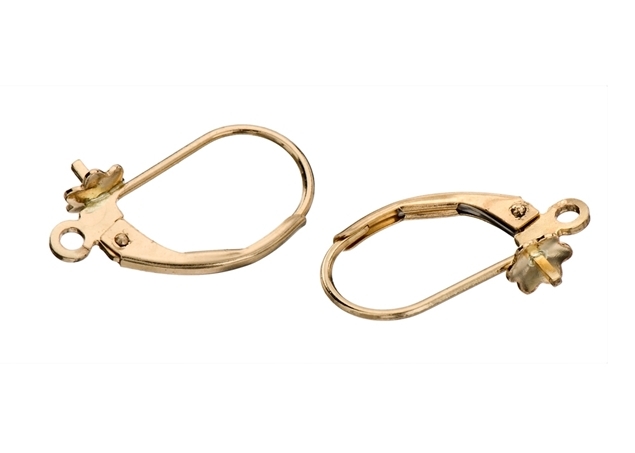 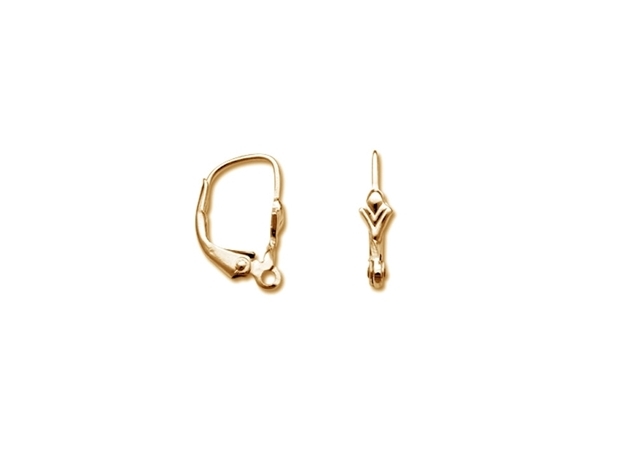 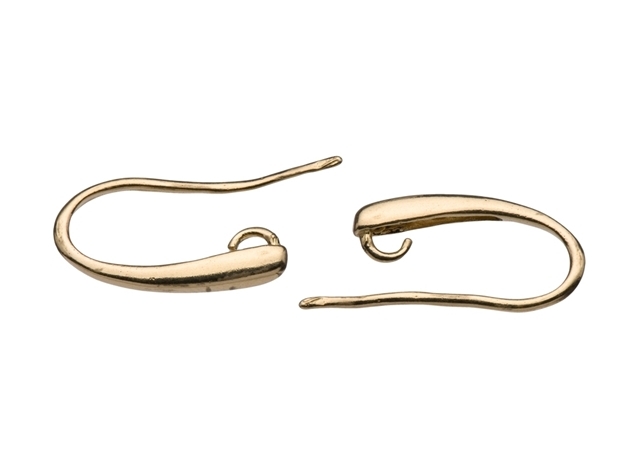 Our Gold Lever Backs are applicable with stones, diamonds, pearls and pendants hanging. 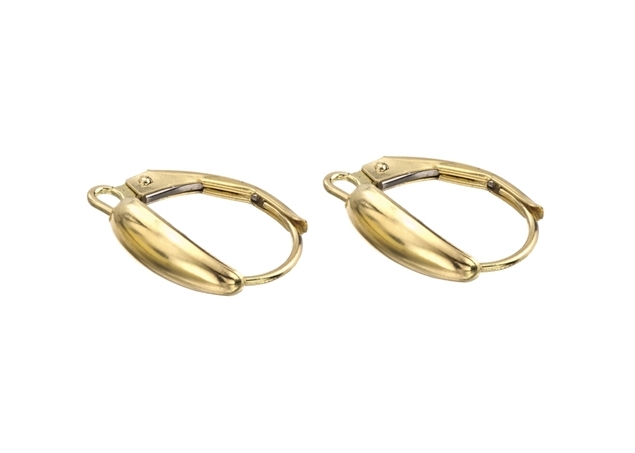 We offer a large selection of Gold Lever Backs- from the most popular Fleur De Lis and to more exclusive Gold Lever Backs. 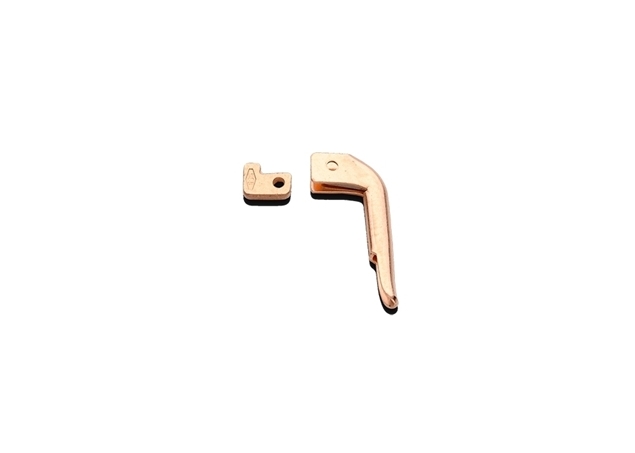 We also offer Screw French back which is used for unpearced ear. 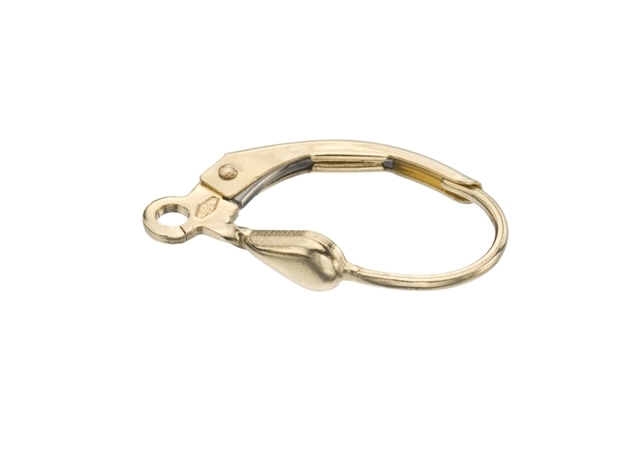 You may also be interested in seeing our selection of sterling silver lever backs and gold filled lever backs, all at great cost-effective wholesale prices.